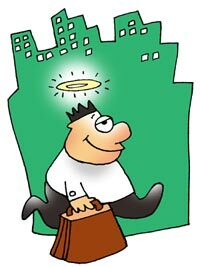 Rediff.com » Business » Office space yields are falling.... and property owners are celebrating! The lower yield is better for property landlords as it indicates an appreciation in the capital value of the property. In February 2017, ICICI Prudential Life Insurance bought an entire floor of 60,000 square feet (chargeable area), leased to Tata Communications, in the Crescenzo building at the Bandra Kurla Complex, considered Mumbai’s micro-market, for Rs 147 crore. Tata Communications pays a rent of Rs 177 per square foot per month (on chargeable area). The purchase price is equivalent to Rs 24,500 per sq foot on chargeable area and Rs 40,960 per square foot on carpet area. The net yield achieved by the buyer in above transaction is 8.46 per cent. Two years ago, in Q2 of CY2015, a pre-leased property in the same building (Crescenzo) at BKC had fetched a yield of 10.01 per cent, according to commercial property data analytics firm CRE Matrix. In a scenario where too many global investors are chasing a few good office assets, rental yields are continuously falling in most of the office hubs in the country, indicating that capital values of Grade A office properties are outpacing their rental values and the demand for such properties is outstripping their supply. The net yield is calculated by deducting all expenses (except property taxes) from achieved annual rental income and then dividing the same by the achieved sale value of the property. The lower the yield the better it is for property landlords as it indicates appreciation in the capital value of the property. However, the yields can also go down when the property prices are stagnant and rentals are going down. But the case in India is otherwise, as the property prices are rising faster than the rental values. IMAGE: Capital values of Grade A office properties -- such as the Capital at Mumbai's Bandra-Kurla complex -- are outpacing their rental values and the demand for such properties is outstripping their supply. Photograph: TheCapitalbkc/Wikimedia Commons. Net yields for pre-leased commercial properties in Lower Parel, another office hub in Mumbai, have fallen from 11.8 per cent in 2012 to 10 per cent in 2015 and further to below nine per cent in 2016, according to CRE Matrix. “We foresee a further yield compression in commercial office markets in Mumbai in line with our view that the rise in capital values will outpace the rise in rental values over the next two to three years. Demand for pre-leased space having Grade A tenants in Grade A buildings far exceeds supply,” said Abhishek Tiwari, the founder of CRE Matrix. “We foresee further compression in commercial property yields over the next two to three years,” Tiwari added. The situation is similar in Gurugram and Bengaluru, the other major office hubs in the country. Rental yields in these cities are in the range of 8.75-9.5 per cent, down from about 10 per cent two years. Yields were 11 per cent for information technology office spaces. Amit Oberoi, national director, knowledge systems, Colliers International, said in the past four years substantial institutional capital was chasing Grade A office assets and IT parks. Private equity firm Blackstone invested over $3 billion in Indian office assets in the last couple of years. Singapore’s GIC and Canada's CPPIB and Brookfield also entered this space. “The government’s intention of introducing real estate investment trusts promised a viable exit to investors. Office properties offer lower risk to institutional investors and, globally, trading core assets is a model that most institutional investors prefer. 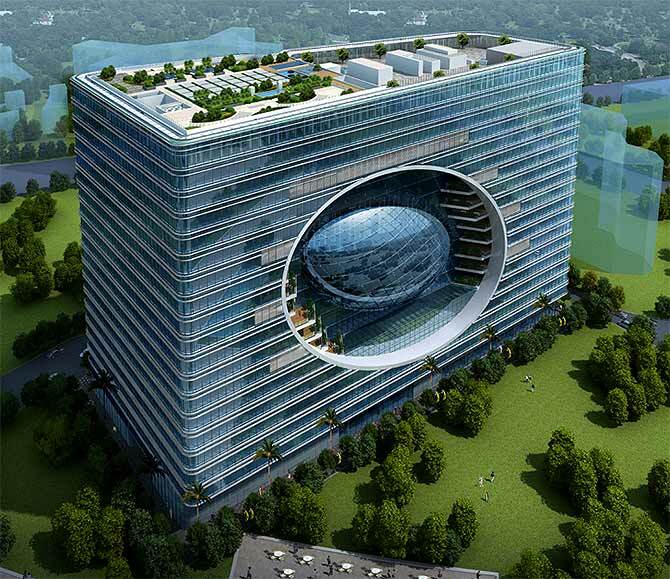 In India, the quantum of Grade A office buildings is limited, thus we had a lot of capital chasing limited supply,” Oberoi said. Vinod Rohira, managing director and chief executive officer, commercial real estate & REIT, K Raheja Corp, said, “There has been a considerable rise in the demand for commercial real estate from private equity investors. This is evident from the rise in private equity inflows into commercial real estate. This coupled with a reduction in interest rates has helped cap rate compression," he said. He said that rollout of REITs would contribute to the creation of a robust, institutionalised income-generating commercial real estate market in the country, which would augment the demand for Grade A office space. The Rs 10,000 cr man!